Approximately 2.4 million eye injuries occur annually throughout the United States. Of those incidents, about one million people end up with a loss of some sort of vision. Motor vehicle accidents contribute to a significant number of eye injuries each year. Corneal abrasions injuries are amongst the most common injury sustained in a traffic crash in Georgia. Any scratches or traumas inflicted on the eye can be described as corneal abrasion injuries. The cornea serves to protect the eye, as the clear covering which lies over the pupil, the black circle in the eye, and the iris, the colored part of the eye. The cornea not only plays an important role in the protection of the eye, but also for a person’s actual vision. When objects attempt to invade the eye, the cornea is working hard to protect any foreign matter from entering the eye. Unfortunately, when an auto accident occurs there are often flying objects released into the air. When these objects strike the accident victim’s eye, a number of different issues may arise, including corneal abrasion injuries. Victims will recognize this injury as it typically inflicts an enormous amount of pain and discomfort. Our eyelids are designed to protect the eye ball, however, when a foreign object strikes this area, the eyelids may be unable to serve as adequate protection, especially during a motor vehicle collision. The cornea is vulnerable and a particularly sensitive region of the body. When two vehicles collide with one another, the contents within the vehicle often fly airborne, threatening a possible corneal abrasion injury. At times, a corneal abrasion injury will not surface immediately. However, any individuals who have been involved in a traffic crash and soon develop an issue can likely attribute the injury to the accident. Therefore, it is important for accident victims to be aware of the most common symptoms associated with corneal abrasion injuries. Pain and discomfort will certainly be a factor during these kinds of damages. Being aware of these symptoms will allow accident victims to handle their injury as soon as possible, often preventing further damage from taking place. If you or a loved one has suffered any injuries in an auto accident, you may be entitled to compensation for your losses. 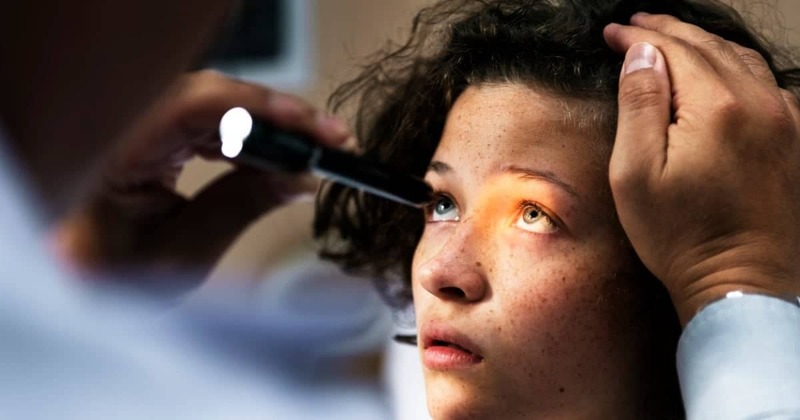 If a foreign object is found within the cornea, it is imperative for accident victims to not attempt to remove it, as a medical professional will be required to take care of the abrasion. When in doubt, it is always a safe bet to contact a local medical professional to pinpoint the problem. When a physician takes a look at an eye injury, they will examine the eye using a special eye stain which recognizes abnormalities present in the cornea. The doctors will use a tool to remove any foreign objects safety and without causing any additional damage. The doctor who is looking at the corneal abrasion injury will determine the best path to successfully address the abrasion. More often than not, the patient will be required to return to the office within 24 hours for a follow-up appointment. All accident victims in Georgia must be aware of the proper manner in which an injury is to be treated to prevent any further issues from arising.